May 7, 2018  Mapfumo performed a homecoming show in the country last month, after spending over a decade-and-a-half in self-imposed exile. May 28, 2015  Mapfumo's powerful political messages led the superstar to seek asylum in the U.S. Critic Banning Eyre has written a new biography of the singer and bandleader. 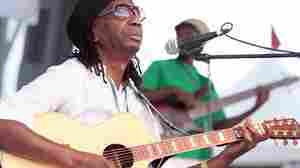 June 9, 2009  Mapfumo is a cultural and political hero in his native Zimbabwe. 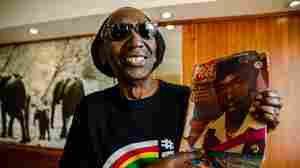 He created his chimurenga music during the struggle for liberation from the white minority government in the 1970s. Exiled to Oregon in the late '90s, Mapfumo continues to make music rooted in the Shona tradition. 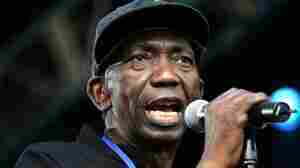 July 12, 2005  African musicians Thomas Mapfumo and Oliver Mtukudzi have dealt with Zimbabwe's political upheaval in far different ways. They explore their differing views on two new CDs. Banning Eyre has a review of both.